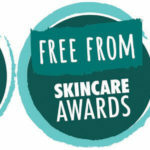 What are the Free From Skincare Awards? The awards were launched in 2012 to celebrate, encourage and reward the manufacture of skincare products that are ‘free from’ some of the allergens, ingredients and fragrances sometimes associated with skin sensitivities and other health concerns or personal sensibilities and preferences, and which may therefore be useful to several groups of people — those seeking more ‘natural’ cosmetics, those looking to avoid certain ingredients due to ethical, environmental or religious reasons, those who have sensitive or dry skin, or those with allergic or problem skin conditions such as contact dermatitis, eczema, psoriasis, rosacea and acne. What does entry to the Awards cost? NB. VAT generally only applies to UK-based brands. What are the key dates of the Awards? What will testers be looking for? Our testers will be using and assessing products for one month, mainly for performance, functionality, effectiveness, pleasure, and benefits (eg improved skin, easing of problem symptoms). For products then shortlisted, our judges will be considering a large number of different qualities. 1/ These may include innovation, quality of formulation, skin-healthfulness of ingredients, and for products which denote an awareness of consumers with skin problems or allergies, especially with regards to their labelling. 2/ Judges will be keen to see products which meet one or more ‘free from’ needs (eg vegan, allergen-aware / low-allergen, halal, eco / green, low salicylate, low fragrance / fragrance free or others). 3/ Brands will receive credit for transparent ingredient information on their products, for example, in declaring the derivation or sources of their ingredients. Ingredients lists and labelling which are clearly legible and easily visible, with good text size, colour contrast and font choice, optimised to help legibility, will also be credited. 4/ Brands will receive credit for conveying ‘free from’ attributes (including allergens) in a responsible, informative and non-alarmist manner. Due to the impending guidance and regulation regarding ‘free from’ claims on cosmetics, due to be enforced from July 2019, we will not penalise brands who have no ‘free from’ labelling on products. To read more about our policy on ‘free from’ claims, please see this article. 5/ Other issues may also be taken into account, and these include value for money, packaging / presentation, use of sustainable / environmentally friendly, minimally processed or organic ingredients, use of natural preservatives, and modest fragrance allergen / food allergen content. How many products can I enter and in how many categories? Entrants can enter as many products as they wish in as many categories. Entrants entering three or more different products overall automatically qualify for consideration in the Best Free From Brand category. An individual product may be entered into more than one category, if relevant, but the appropriate entry fees and sample requirements apply. For example, a hand & body cream entered into the Men’s Grooming, Face Care (Leave on), and Problem Skin categories will require three entry fees and 18 product samples. Previously entered products — whether winning or not — may be entered again. What benefits are there in entering the awards? Your brand will be welcomed and featured on our popular social media pages — Twitter, Facebook, and Instagram — which have many thousands of followers, boosting your media profile. Your entries will be sent to four experienced testers for month-long assessment, and the detailed feedback we receive from them will be available to you once the Awards are over in July. We’ll give you award logos at various stages which you are free to use in your marketing and communications to share your participation in the Awards. Shortlisted products will be presented to a distinguished panel of beauty / skincare experts, writers and influencers, who relish the opportunity to discover new brands at our judging sessions (See last year’s judging panel here). Testers and judges regularly become new customers of products they test and judge. You may be featured in ongoing press coverage related to our Awards. A selection of products entered into the Awards will be showcased at our stand at the Allergy & FreeFrom Show held on London Olympia in July 2019. And, of course, you have the chance to win a Gold, Silver or Bronze ‘medal’ in any one of 14 product categories — as well as the prestigious Overall Winner of Best Free From Skincare Product 2019 — and capitalise on all the potential benefits that comes with recognition in a major cosmetic and skincare award. Kirsty is the director of her own skincare brand agency, Skin Insight. Alex is a writer specialising in allergies, food intolerances and sensitivities. He is the editor of Allergy Insight and MI Free. Michelle is editor of the FoodsMatter.com websites and founder-organiser of the hugely successful Free From Food Awards, now in their thirteenth year, and the Free From Eating Out Awards, now in their fourth. Who should I contact with an enquiry about the Awards?